Hello! It’s been awhile. I’ll have a full update in the very near future about my absence here, but two words sum it up…. hip injury. 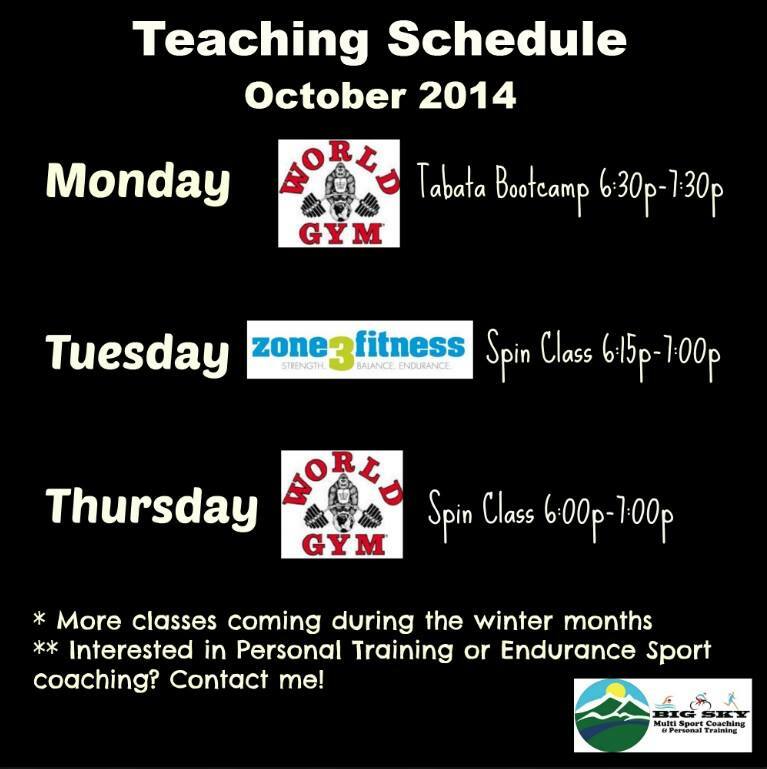 I’ve been teaching a lot of fitness classes over the summer and will be picking up a few more this fall. If you’re local in the Greater Portland (Maine) area then come check out one of my classes! I’ve discovered that I really love teaching fitness classes! This entry was posted in fitness class, teaching schedule and tagged fitness classes, spin, tabata bootcampe, teaching, world gym, Zone 3 Fitness by kmichaud87. Bookmark the permalink.